TestingWhiz provides automated web UI testing solutions for validating application UI and front-end to confirm its accurate appearance across different browsers, platforms and devices. TestingWhiz’s Web Test Automation solution also helps you authenticate critical functioning of your web apps to deliver an efficient and effective experience at the user’s end. TestingWhiz provides automated mobile testing solutions to help you verify and validate the functioning of mobile apps in a continuous integration workflow. 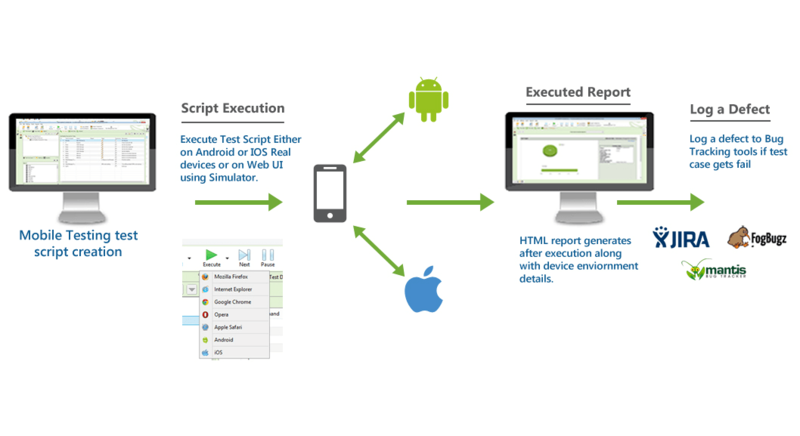 With TestingWhiz, you can automate tests of any native and mobile web apps from UI level down to the complete back-end as well as perform functional-level testing on real devices and simulators. TestingWhiz’s automated database testing solution helps you test and validate end-to-end databases and ensure the integrity of data with an application for better performance at lower overheads. 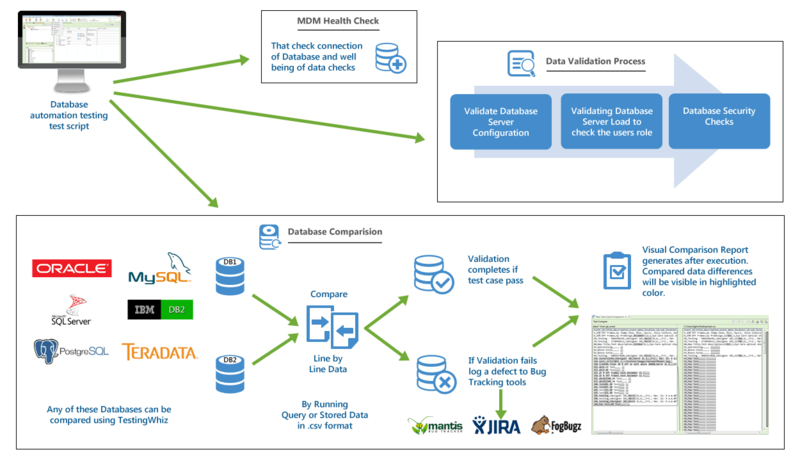 With TestingWhiz, you can seamlessly automate testing of databases in a variety of areas such as data warehouses, databanks and manage the health of data that further aid in improving the overall decision making. 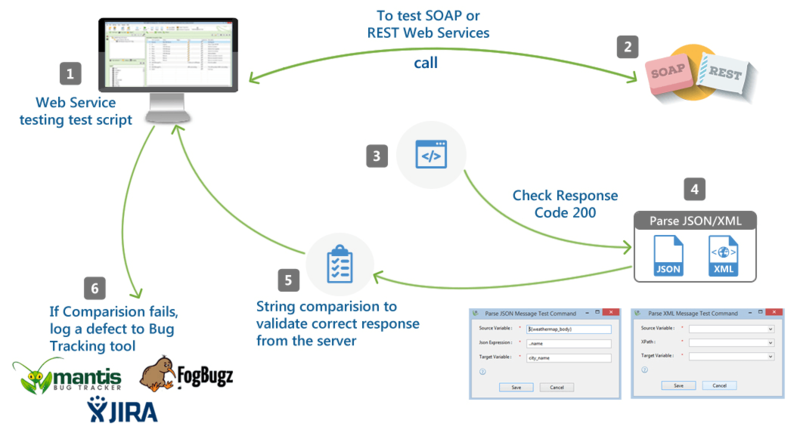 Automated Web services testing solution from TestingWhiz helps you to test whether your application communicates and accesses functions correctly from the Web by effectively verifying the behavior of web services connected to them. 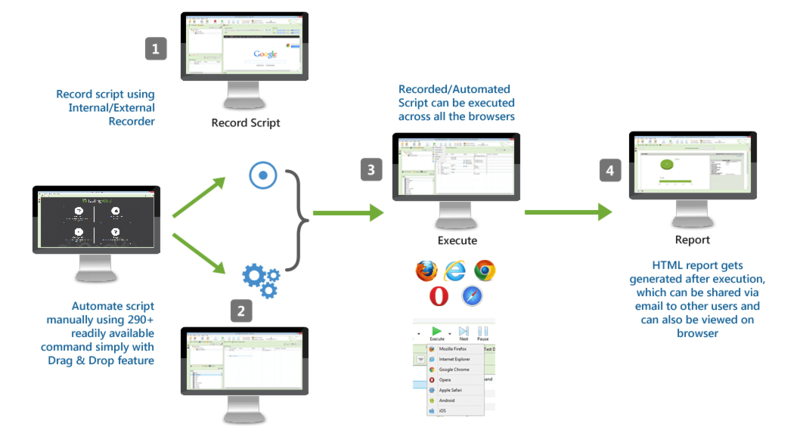 TestingWhiz provides automated cross-browser testing solutions to confirm that your application works accurately on different browsers and versions. It drives and validates your application's user interface completely independent of technology or source code, providing a simple and quick mechanism to check it under different combination of browsers, platforms, operating systems, and their versions. Automated Big data testing solution from TestingWhiz helps you validate volume, variety, and velocity of data, identify the differences and bad data after various implementations, migration and integration processes and ensure functional and non-functional requirements of data are met accurately to perform error-free processes and analytics. 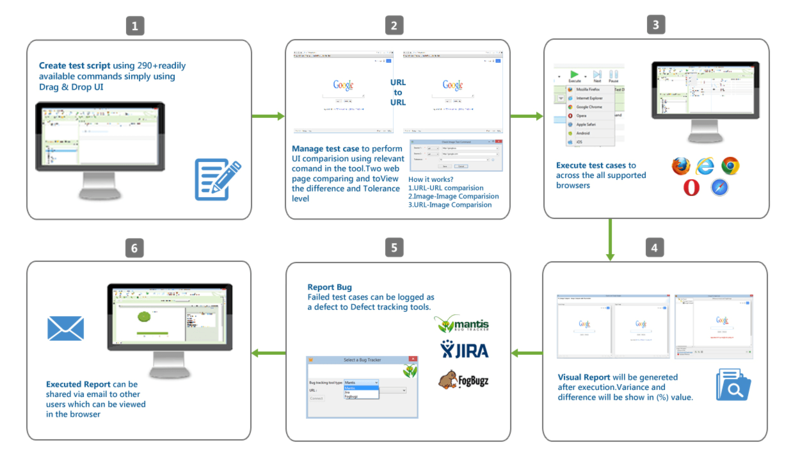 TestingWhiz lets you automate regression testing for web, mobile, database, web services and API by re-running automated tests in continuous integration. 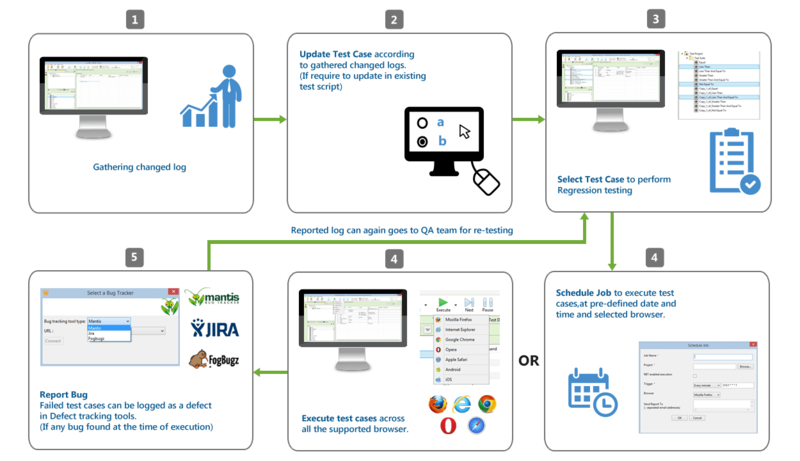 TestingWhiz’s flexible automation engine, through regression test automation, quickly identifies the unintentional and unattended faults that might have occurred during the development stage, reducing the time-to-market and giving a higher return out of the total investment in developing the application. TestingWhiz provides data-driven test automation solution to help you test your application against multiple data sets and data values. 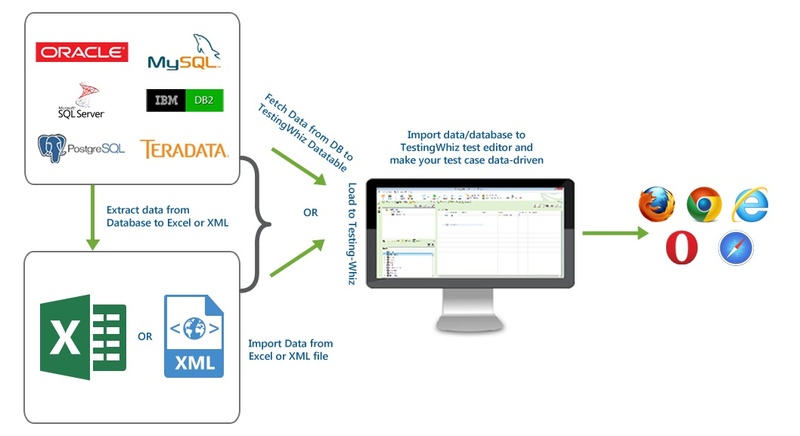 With smart Test Data Management features, it lets you separate your test logic from the test data and execute a single test script with different input values stored in excel, CSV or XML to derive different results of an application’s performance.